TOSCA is the Topology Orchestration Specification for Cloud Applications. Simply put, TOSCA offers a standardized way to describe applications as well as its dependencies and supporting cloud infrastructure. With this method of modeling applications, TOSCA enables users to deploy and orchestrate the lifecycle of applications across multiple clouds (and other environments). See the OASIS TOSCA FAQ for more details. The ability to move cloud services between different cloud environments, standardize service definitions, and be vendor independent can help technologies based on cloud computing reach the next level. TOSCA helps providers do just this. It can model networks in a standardized manner, improve automation, enable portability, and more easily overcome interoperability issues. To learn more about what TOSCA is, click here. Cloudify and TOSCA extend Kubernetes to connect with the rest of the world in two independent ways. First, they enable users to instantiate and manage infrastructure and any other resources for Kubernetes. Second, Cloudify and TOSCA can orchestrate Kubernetes services alongside non-Kubernetes services under the same automation scheme and manage multiple clusters as well. 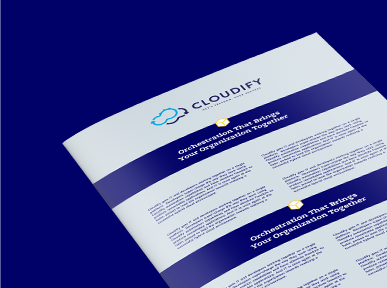 Cloudify with TOSCA offers true, un-opinionated automation and orchestration of Kubernetes allowing users to plug in their choice of UI, metrics, and any other element of their stack, lifting any restrictions other platforms do not enable. 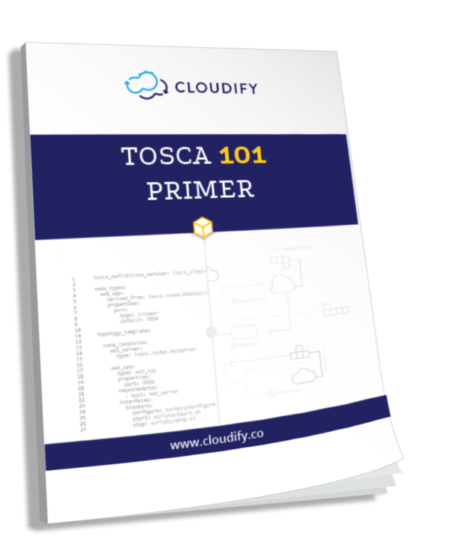 Want to learn more about TOSCA and building templates from scratch? At Cloudify, we are experts in all things TOSCA. Just fill out the form by clicking the button below to discuss training for your team. ONAP, the Open Networking Automation Platform, is an open source platform that was created with the combination of AT&T's ECOMP platform as well as Open-O. ONAP was created to bring together design, creation, orchestration, and lifecycle management of VNFs in a Software-Defined Networking environment. See how large scale systems based on Microservices patterns can be designed using TOSCA, and extended with Cloudify. 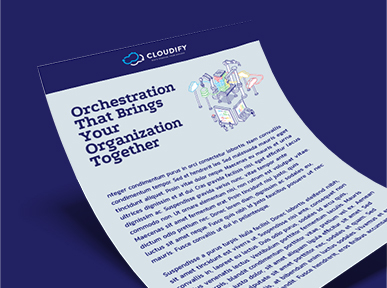 Download the whitepaper to learn more about how Atos leveraged TOSCA and Cloudify to bring maximum benefit to enterprise customers.